Women on a Mission: Mom Edition: WTF (way too fun): FOLLOWER BILLBOARD! 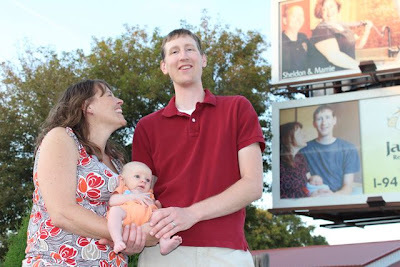 Jen, Aaron, and baby M made a billboard in my little city! YEAH!